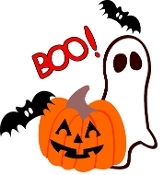 Come enjoy a 90 minute Haunted Halloween Tour around downtown Boise aboard our decorated Halloween Trolley. You must be ambulatory and over age 12 for this tour as we will be making a couple of stops. Bring your cameras! The tour will run every night at 8 pm beginning Oct. 12th through Halloween. The Tour leaves from Joe's Crab Shack, 2288 N Garden St. All regular tour tickets are $18 per person. The Oct 26th ($38) and 27th ($40) tours cost extra, and includes tickets to the Frightened Felons at the Old Pen. (Special 4 hr, tour. 7:00 pm-11:00 pm). Fri. Oct 26th is family night(13+) Sat Oct 27th is adults only (21+) . Our Oct 31st Halloween night tour is $28 for adults only. Alcohol and sandwiches will be served on board. Come watch the tricker treaters on Warmsprings Ave. aboard the trolley!